Belgium Dealer "Original Hot Tubs & Saunas" is awarded the prestigious innovation award at Belgium's top outdoor leisure product fair. 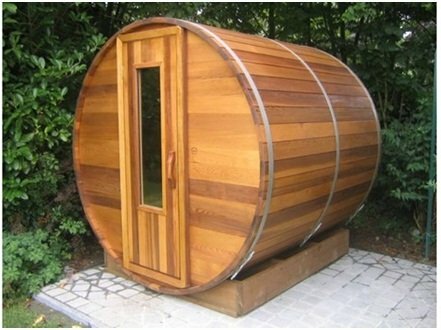 The quality and design of the barrel sauna took the spot light in a region of Europe where traditional Finnish saunas are very popular. The quality craftsmanship and use of Canadian Western Red Cedar and stainless steel components is highly regarded in Europe.